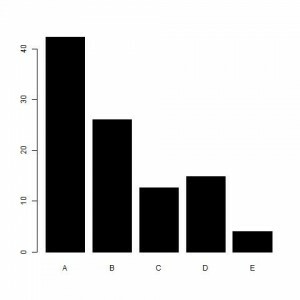 There is a long right tail of long games. 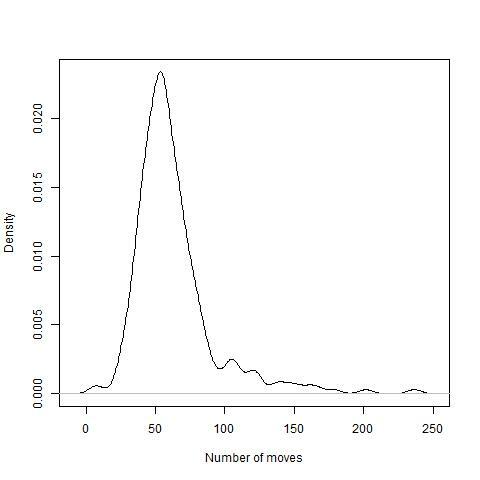 About 10% of the games were over 100 moves long, 6 games over 150 moves, the longest had 236.5 (Komodo-Chiron). Komodo, the chess engine by Mark Lefler, Larry Kaufman, and the late Don Dailey, won the first stage of the Top Chess Engine Championship. It collected 20,0/23 with 17 wins, 6 draws, and 0 losses. The silver medal of the stage is for the defending champion Stockfish with 19,0/23, while the bronze is for Houdini with 16,5/23. Andscacs came close to the medals with 16,0/23. Booot, Fire, Chiron, and Ginkgo all qualified for the next stage, highly contesting the positions until the very last game. Stage 1 consisted of 276 games. 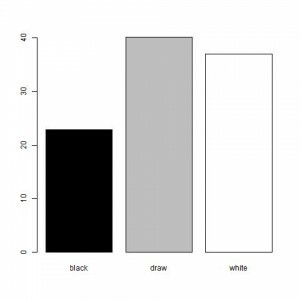 Of them 101 were white wins, 62 black wins, and draws 113, making the total draw rate at the low 40%. Season 10 proves the boom in engine development, as historical stage medal winner Gull remained 9th, while another medalist Rybka is at 19th position.